The Scoop on Apple’s New Battery Cases. 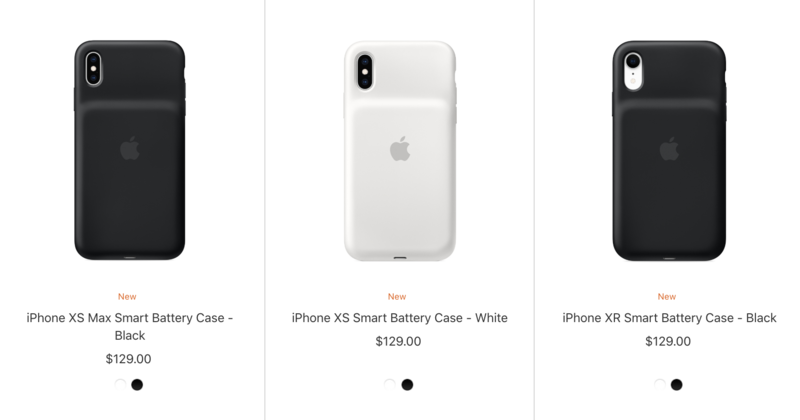 As of today, January 18, Apple has released their newest Smart Battery Cases. There are three options: iPhone XS Max, iPhone XS, and iPhone XR. The color options are white or black and are being sold for $129. Here’s some information to note about these new Apple battery cases. These are the first battery cases Apple has released since their iPhone 6/iPhone 6s and iPhone 7 models. The new versions are compatible with Qi-certified wireless chargers and are made of the same non-slip silicone that the earlier versions were made of.